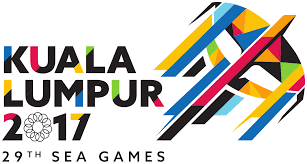 The 2017 Southeast Asian Games , officially known as the 29th Southeast Asian Games (Malay: Sukan Asia Tenggara ke-29) and commonly known as Kuala Lumpur 2017 is a Southeast Asian multi-sport event that will take place in Kuala Lumpur, Malaysiafrom 19 to 30 August 2017, with 404 events in 38 sports to be featured in the games. This will be the sixth time Malaysia host the games and its first time since 2001. Previously, it also hosted the 1965, 1971, 1977 and 1989 editions of the games. To see the latest medal tall, please click HERE! and HERE!